Marina restaurant is inviting you to join us from December 9th - 24th to enjoy delicious and various cod fish dishes! Restaurant Marina is listed in 100 top restaurants in Croatia so you can expect only the best from our creative chefs. First Advent Sunday is behind us and that means that we officially entered the holiday season. People are decorating their houses with Christmas decoration, preparing the lights and discovering new recipes for their Christmas meal. You will find turkey, holiday cookies and biscuits. But in the region of Kvarner and all along the coast, you will also find various dishes with cod fish. 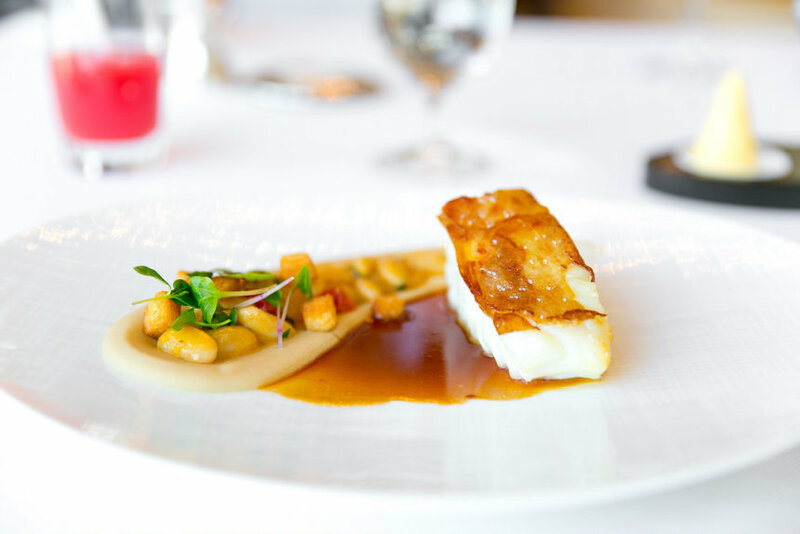 When it comes to preparing cod fish dishes, good organization and patience are the key elements for success. Don't let that scare you from the recipes because Christmas is nothing without cod fish dish on the Island of Krk and along the Adriatic coast. Preparing cod fish is much more challenging than other fishes because its meat needs to soften before cooking it. Even though it is a real balm for the sensational senses, because of the demanding preparation which can take up to several days, many give up on preparing the cod fish. From all the dishes, the most popular is Cod fish in "white"
The most known cod fish preparations are cod fish in "red" and cod fish in "white". Cod fish on red is prepared like this: you add onions, olive oil, parsley, garlic and tomato paste to a cooked cod fish. For cod fish in "white" you two ways of preparing the dish. Cod fish paté is mixed with olive oil, garlic, parsley and various herbs and cooked cod fish is prepared with potatoes. Cod fish can also be prepared as a casserole, in combination with vegetables or it can be prepared in a crock with potatoes, garlic, salted anchovy's, tomatoes and onions - just like our elders prepared it. Restaurant Marina is listed in top 100 restaurants in Croatia for several years. And our creative culinary team enjoys preparing new and traditional holiday dishes. So, this year they prepared fabulous holiday menu in which cod fish is the main ingredient! On the menu you can find, of course, cod fish in "white", warm-cold salad, tagliatelle and home-made pasta (šurlice) with cod fish, baked cod fish with sheep's cheese, cod fish stew and many more delicious meals. After a delicious meal, we recommend that you head to the town main square Vela Placa where you can enjoy festive program "Advent on Vela Placa". You still don't know where will you celebrate New Year's Eve? In the city of Krk you have a couple of options. If you are not for celebration in the center, our doors are open for you.